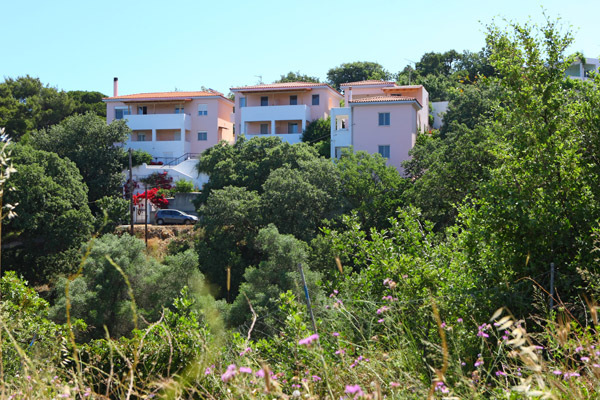 Olga’s apartment complex is located in a beautiful suburb/village called Gallou, approximately 3.5 km from the city of Rethimno. 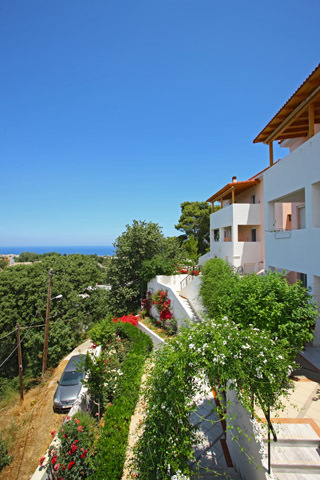 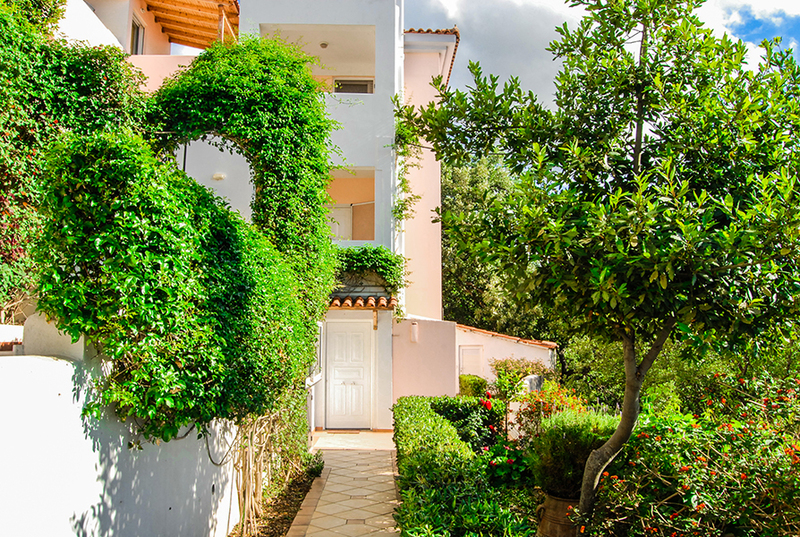 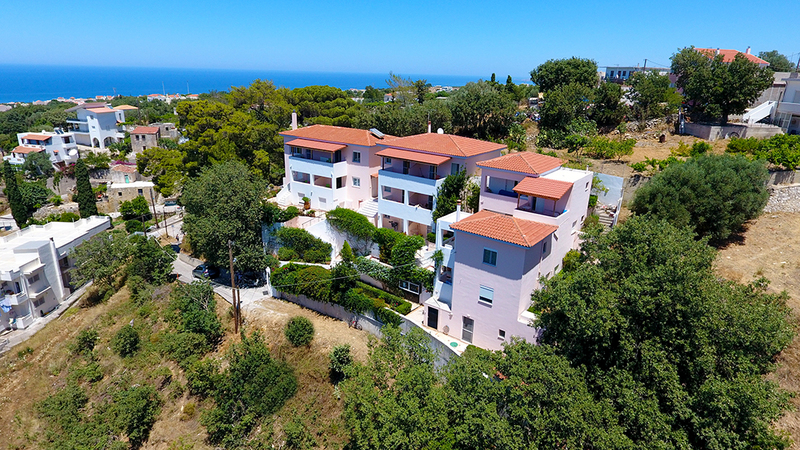 The complex is comprised of 15 modern apartments and every apartment has a magnificent view of the Cretan sea, the White Mountains (Lefka Ori) and a beautiful forrest with oak trees. 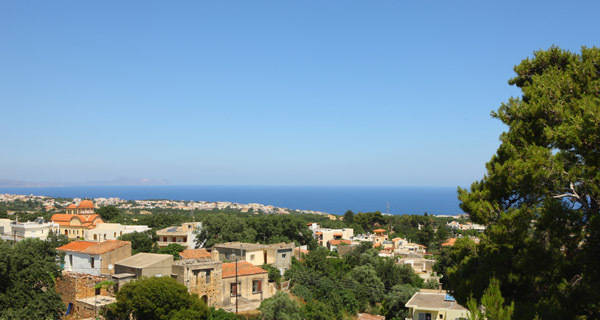 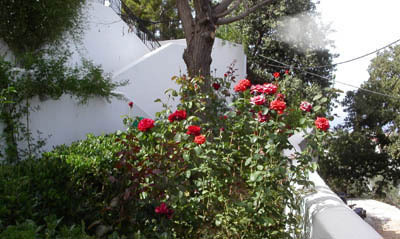 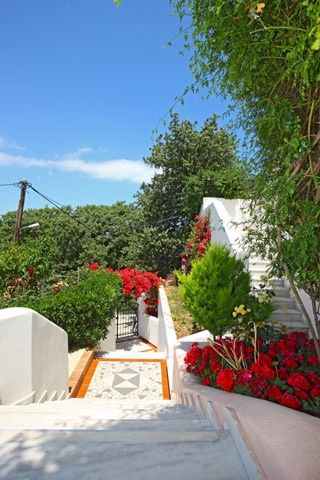 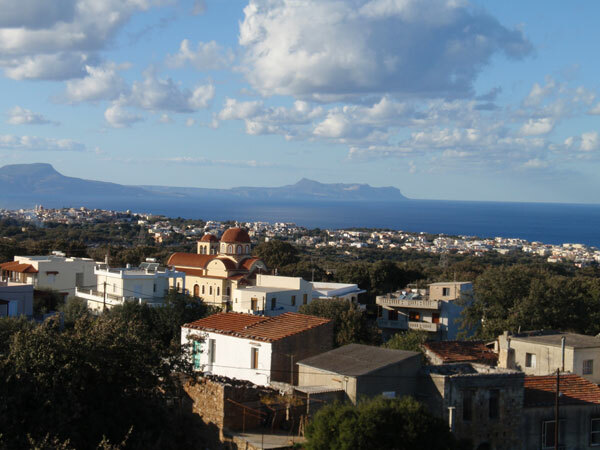 The complex is situated only 800 m from the University of Crete and it is about 1km away from the main high way (national road) of Crete which connects cities, such as Chania and Heraklio. 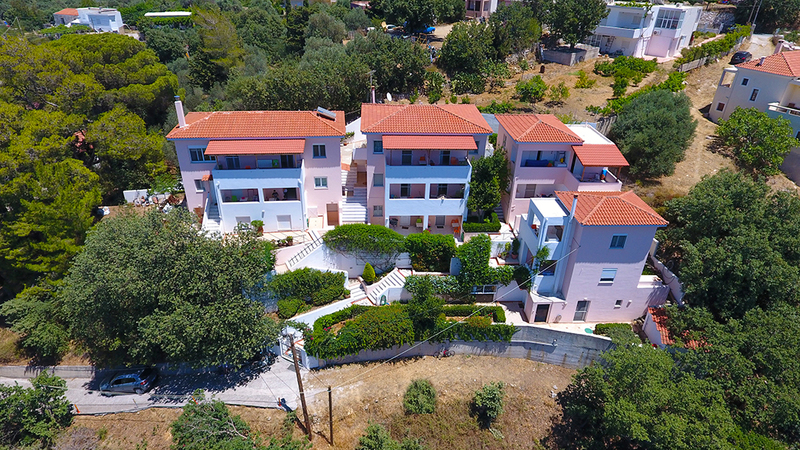 The complex is built amphitheatrically and consists of three separated buildings where numerous two-rooms apartments (living room, bedroom) are located. 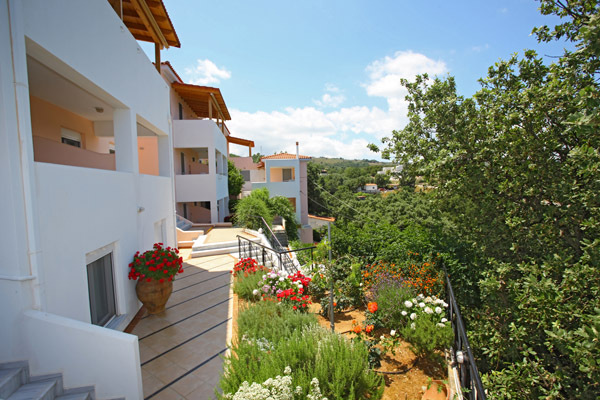 All apartments have kitchen, bathroom with a shower and individually regulated heating systems. 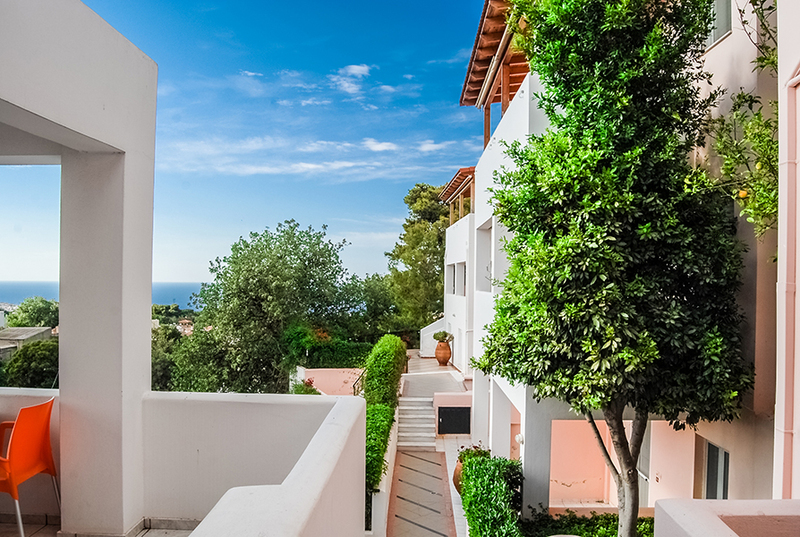 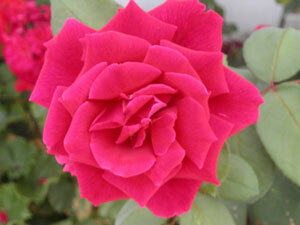 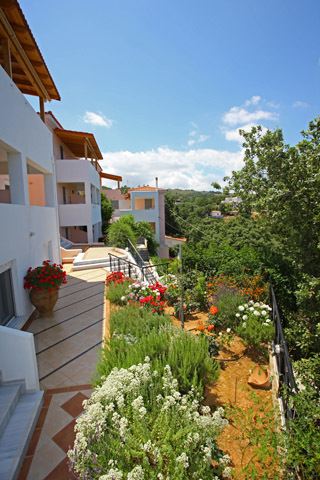 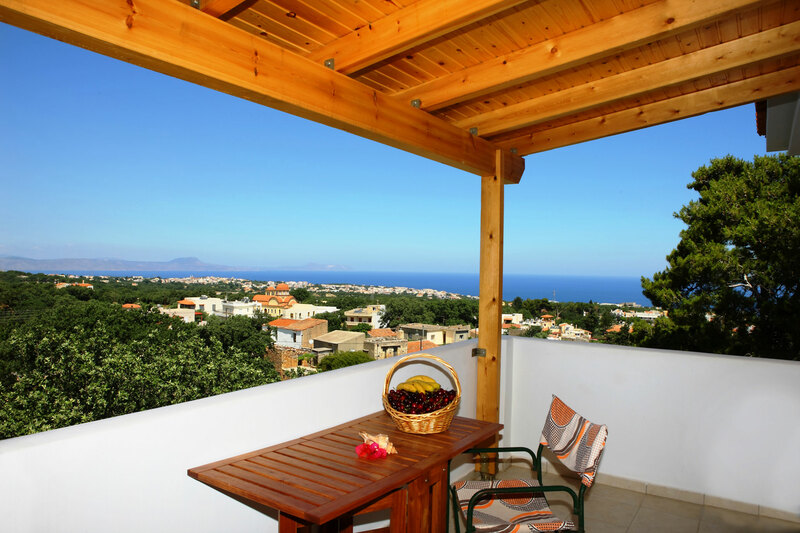 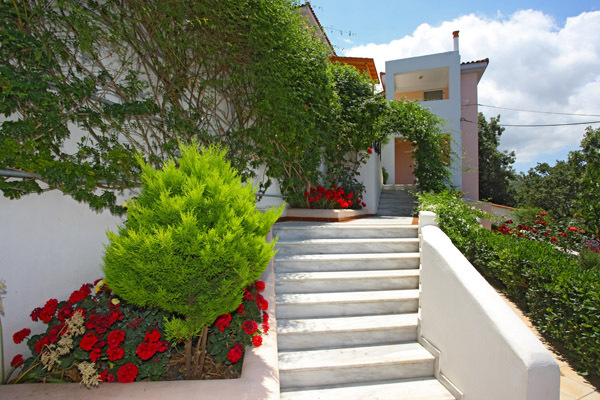 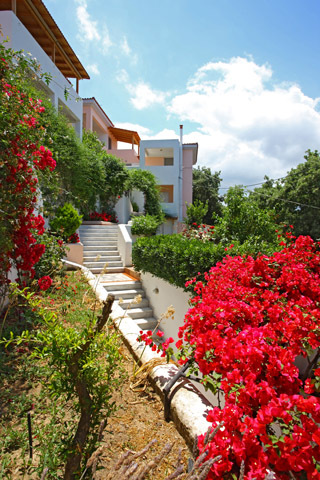 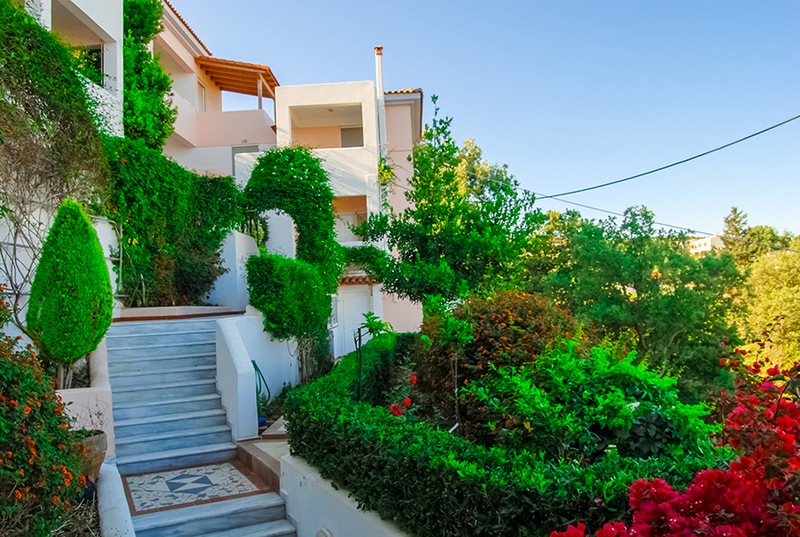 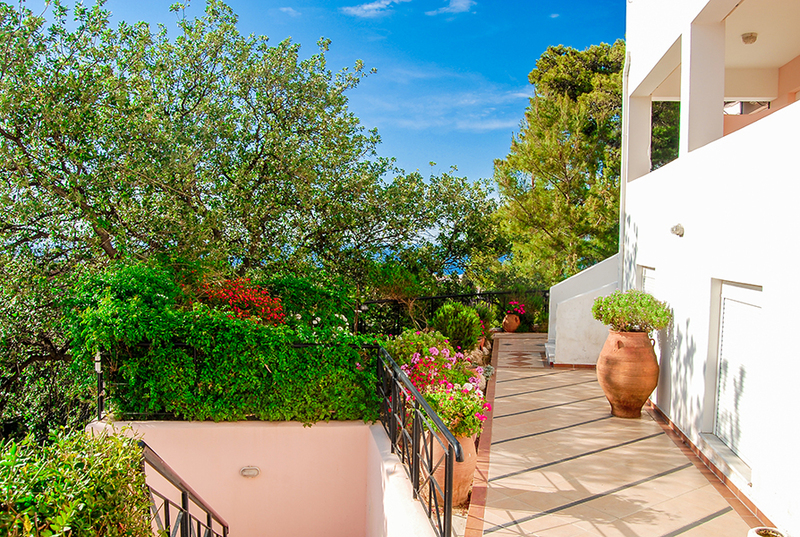 In addition, all apartments have a terrace with breathtaking views of the sea and the mountains. 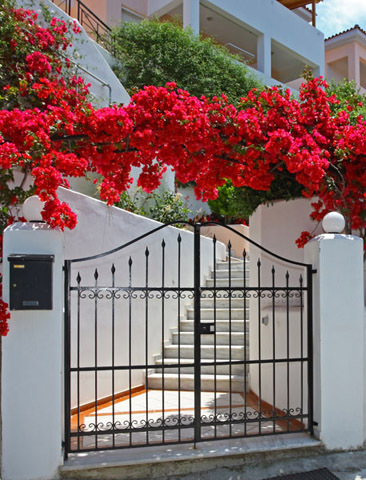 All apartments are fully furnished with full-size closets, a double bed, bedside tables, kitchen table and chairs, curtains, stove refrigerator and Wi-Fi Internet. 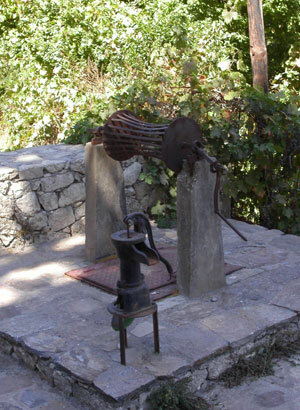 Every apartment has its own electricity and water meter. 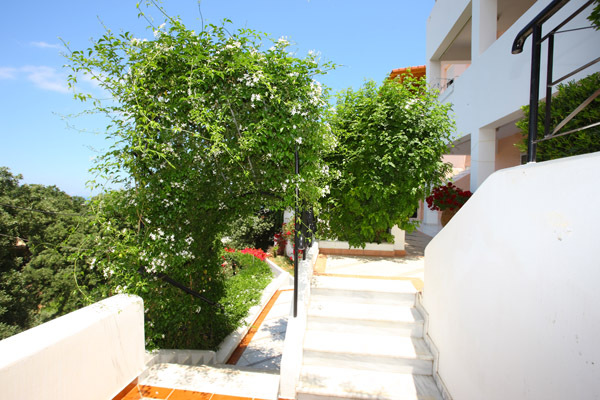 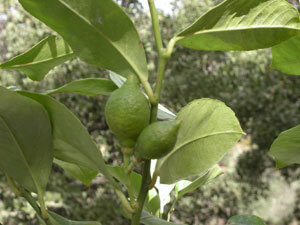 The aparments are rented with an annual contract or for several months.